Clinic Synopsis: This session is a pre-planned demonstration concert designed to improve retention of beginners that will feature an actual beginning band demonstration concert by two local schools. Attendees will see and hear their parent’s reaction to the program. Following their performance, a panel discussion will explore ideas how to implement this type of program in your school culminating with the announcement of “First Performance National Day of Celebration” for 2018. Clinician Biographical Information Mario Moody is no stranger to music and has been engulfed by music and music educators his entire life. Mario’s love for music began over 20 years ago as an instructor at The Van Moody School of Music (VMS), a family owned business that offers private musical instruction for members in the community. It was at VMS, where he began to cultivate and appreciate various forms of musical expression that ultimately led him toward his current path. From these rich experiences, he developed a passion to teach music, and decided to advance his studies at Vander Cook College of Music, where he graduated as an Instrumental Major in 2001. He began his music education career as the general music teacher for three years at Wentworth Intermediate School in Calumet City, Illinois. 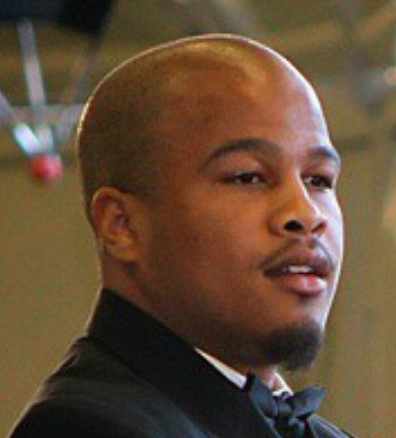 For the past 13 years Mario Moody has strived to change the lives of his students “one note at a time,” as the Director of Bands in The South Holland School District 151, which serves students from 4th through 8th grades. The music program at The South Holland School District 151 currently has a roster of over 150 students in the band program and offers five level options for band instruction. The students at the middle school level have won several awards, traveled extensively and take pride not only in their musical growth and development, but their overall academic and social enrichment. Mario is 100% committed to making sure all students gain life-changing experiences and interactions, via the music program ,that will positively aide in their growth and development as they transition toward becoming citizens in our global society. 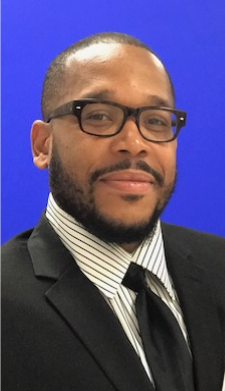 Second Clinician Biographical Information Nyle Taylor is a Second-Year Band Director at McKinley Junior High School in South Holland, Illinois. A graduate of VanderCook College of Music, he grew up on the South side of Chicago and attended Chicago Public Schools, where he didn’t touch a band instrument until his sophomore year of high school. Nyle accredits much of his musical foundation, moral teachings, and philosophies to growing up in the Church. At McKinley, Mr. Taylor not only teaches 4th-8th band, but he also aims to cultivate and contribute emotionally, morally, intellectually, and socially balanced members to society through exposure to the wonders of music. Third Clinician Biographical Information Dr. Teresa Hill was born in Chicago, Illinois and raised in Dolton, Illinois where she attended Dolton West School District 148, Franklin Elementary and Lincoln Junior High Schools. She is an alumna of Thornton Township High School District 205, Thornridge. Dr. Hill received her Bachelor of Science in Elementary Education; Masters of Science in Educational Administration & Foundations; and Doctor of Education degrees from Illinois State University. Dr. Hill’s currently serves as the Superintendent of Schools for South Holland School District 151. There she is responsible for a staff of over 270 employees and approximately 1575 students. During her career, Dr. Hill has served as Classroom Teacher; Support Services Teacher; Assistant Principal; Principal; and Assistant Superintendent. She is also a published author of “Every Closed Eye Ain’t Sleep: African American Perspective on the Achievement Gap.” Dr. Hill’s specialties include: Curriculum Development; Literacy; Professional Development; School & District Improvement Planning; Goal Setting & Strategic Planning; Closing Achievement Gaps; Education Policy and Teacher Supervision & Evaluation. Dr. Hill has a strong commitment to her family, church and schools. Upon her confirmation by the School Board of Education in 2012, Dr. Hill said "I feel honored and blessed to join the South Holland School District 151 community. These are critical yet exciting times for education. Together, we can ensure that all of our children have the skills they need to succeed in high school, college, and beyond." Five years later her statement still rings true.